Congratulations to this funny guy! 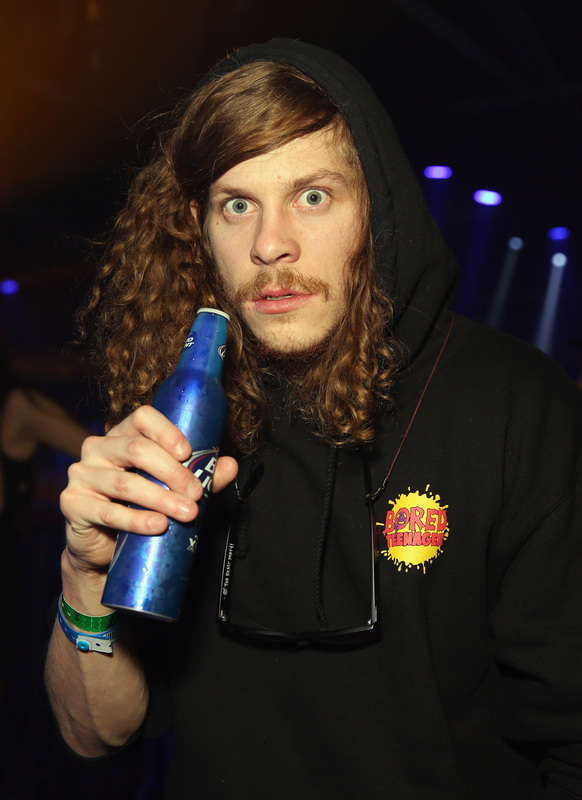 Workaholics star Blake Anderson is now a dad, alongside his wife of a year and a half, Rachael Finley. Us Weekly was first to report the news earlier, and they stated that their new baby girl, who they named Mars Ilah, was actually born at the end of February, but the couple — in another example of celebrity skill at hiding private information! —just released this information to the press. Is this a trend? Only recently did it break that Harry Shum Jr. was engaged to his longtime lady Shelby Rabara, but he had proposed to her back in October. It's a smooth move! You've got to give props to famous couples who keep their personal and family lives under wraps for the most part, so that they get the opportunity to enjoy these celebratory moments sans paparazzos snapping pics of otherwise personal moments. It gives babies the opportunity to get to sleep in their nurseries without cameras, like normal babies. Couples get the opportunity to celebrate that moment of deciding to spend the rest of their lives together in the absence of a million cameras. We often dismiss celebrities as living lives so far from our own (and I mean, with those bank accounts, yeah, kinda), but at the end of the day, they've got similar emotional cores — albeit wealthier ones dwelling in ostentatious houses — to us all, right? Regardless, a congratulations is in order to the happy couple.